There are many things that define mankind, but nothing is as more important as intelligence. It is this knowledge and mankind’s innovation that led to the discovery of fire centuries ago during of the many evolution stages. Ever since then man has always been fascinated with fire, and he has found many things to do with it and so life would be impossible without it. Fire has improved man’s life in so many ways that it would be impossible to sum them up. Fire and flame images can be found in most of the early paintings and images in carvings, and people have always seen this as an interesting artistic image. In the modern era, some famous artists have built a reputation from drawing flames in different variations. It is this fascination with fire and flames that led to the development of flame tattoos. However, it is not clear exactly when these tattoos came into existence but they have probably been around for decades. 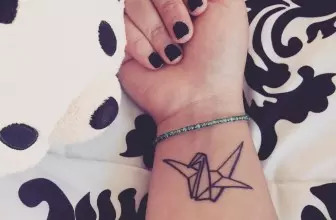 These tattoos are associated with diverse meanings. The meanings attached to these symbols are almost as many as the types of these tattoos. However, it is very difficult to give a precise meaning to a particular flame symbol since this will vary from one individual to another. Things like the type of tattoo and the placement location will also determine its meaning. Fire and its flames can be used in a positive manner, but it can also cause massive destruction if used wrongly. The varying uses of flames what they represent are the two things that give meaning to these tattoos. In Christianity, flames can be used to represent hell that is a mythical place where sinners go. According to Christian teachings, all the sinners will be burnished to hell where they will be condemned to burn eternally. Christians get flame tattoos so that they can always have something to remind them of what awaits them in hell if they do not live according to teachings or if they lead a sinful life. Non-Christians who are fascinated with hell can also use this symbol to show their fascination with this mythical place. Any other tattoo drawn with the flames will influence the meaning of this tattoo. For example, if the flames are drawn with a heart tattoo they can mean desire or deep passion. 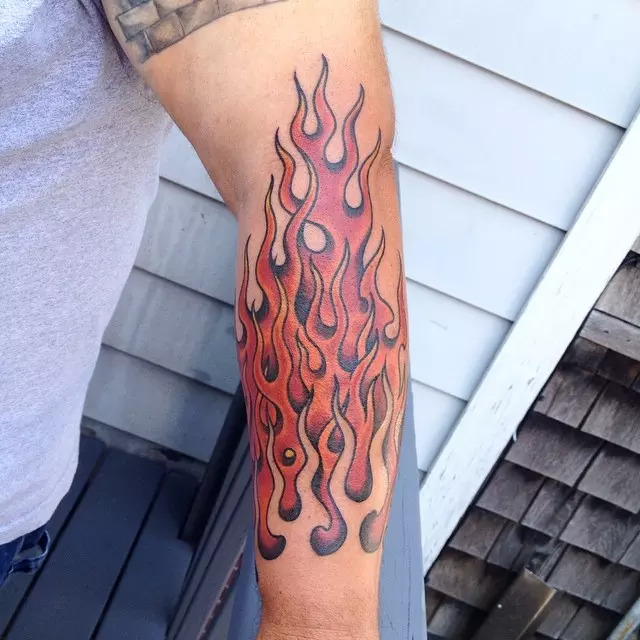 To give their flames a deeper meaning or to make clear the meaning that they intend to portray most people will choose to combine the flames with other tattoos. Other meanings associated with flames may include danger, warning, life and destruction. Fire is very dangerous if it is not controlled, and so you can use a flame tattoo to mean some danger. The life and destruction meaning of a flame tattoo is self-explanatory. Flames give life in many ways for instance they help people to cook food and also provide the warmth that is essential for survival. 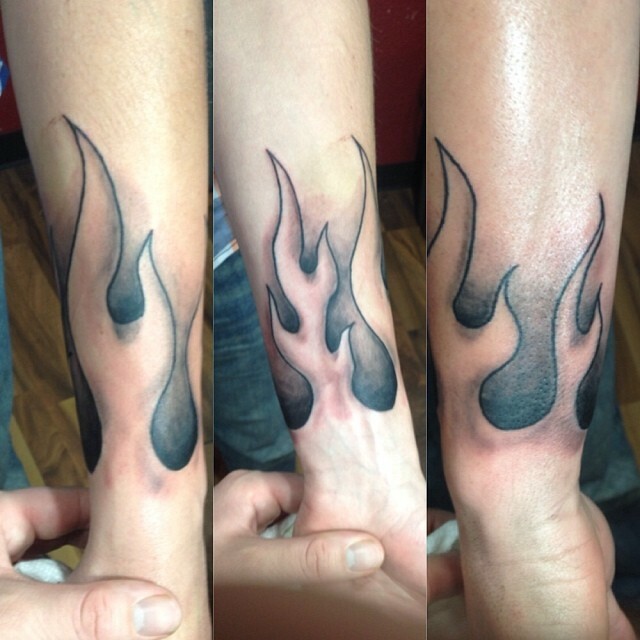 Flames make a perfect sleeve tattoo since they are not restrictive in terms of size or design. 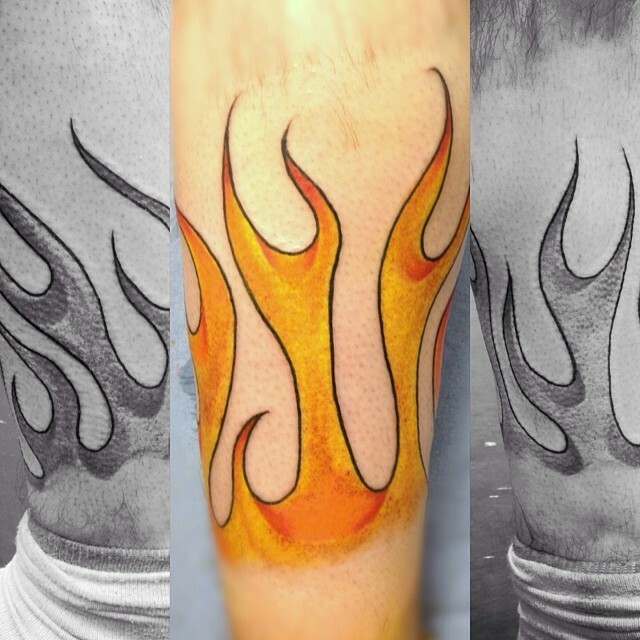 You can also choose to have your flames as a half or quarter sleeve tattoo. 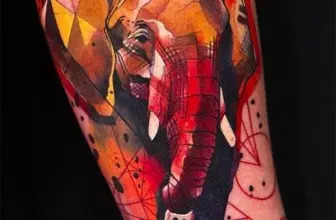 With this tattoo, you will not be limited with how you can draw it as your sleeve tattoo since you draw it in any direction you wish. 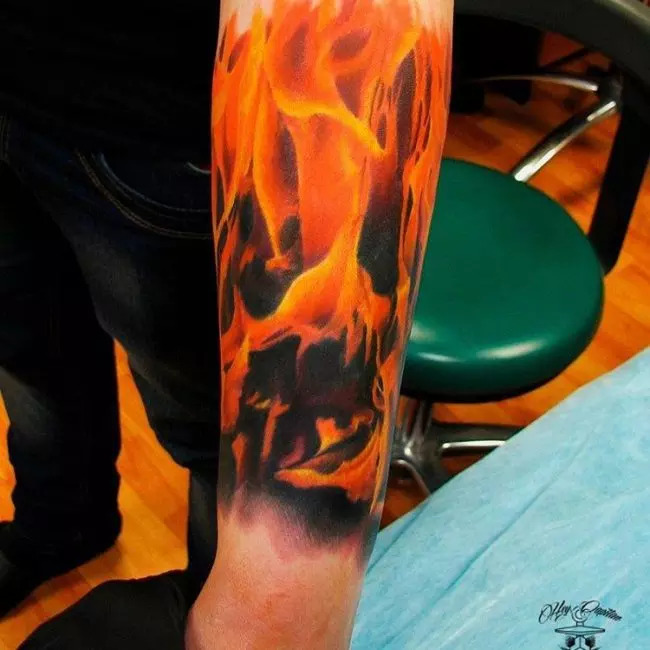 Flames can be as big as you want, and so you will not need any other tattoo to enhance the appearance of your sleeve. If you are not into sleeves the hand still provides a good place to have your flame tattoo. You can place it anywhere on your hand, and it will still look fabulous. Most people prefer to have theirs on the upper arm, but it still looks great on the lower arm if properly drawn. A burning flame will look fantastic on your ribs if you choose a good design. 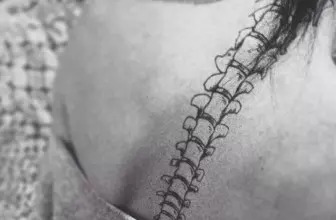 You can choose to have a small one on the side of your ribs or even have a big one to cover all your ribs. However, the design you choose will determine the size of the tattoo that will look good when inked on the ribs. Some flames like the blue flame look fabulous when drawn on one or both legs. The shape of the legs gives this tattoo an attractive look that one cannot easily attain if they have it elsewhere. 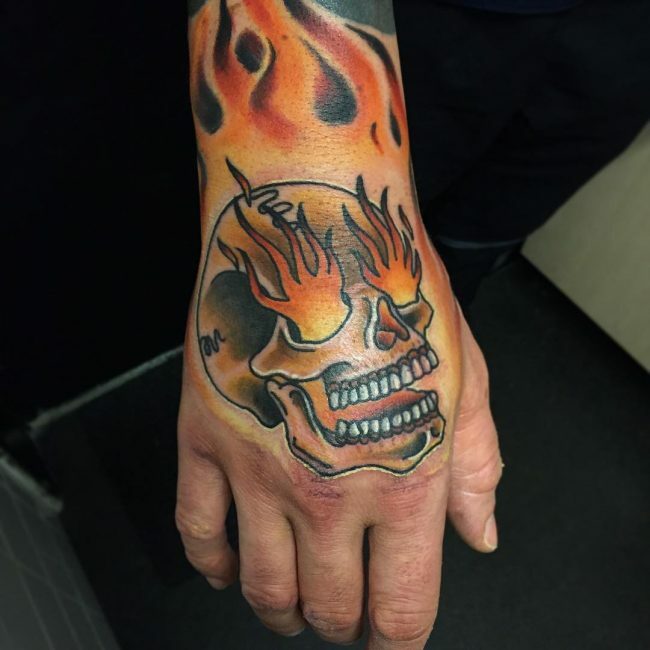 In this sort of tattoo a burning skull acts as the source of the flames. The skull can be drawn alone or combined with different things to give meaning to the tattoo. For example, it can be combined with an eagle, pistons or even bones to bring out a particular meaning. There are many things that produce blue flames when they are burnt, and most people consider the blue flames to be the most beautiful of all the colors that a flame can take. 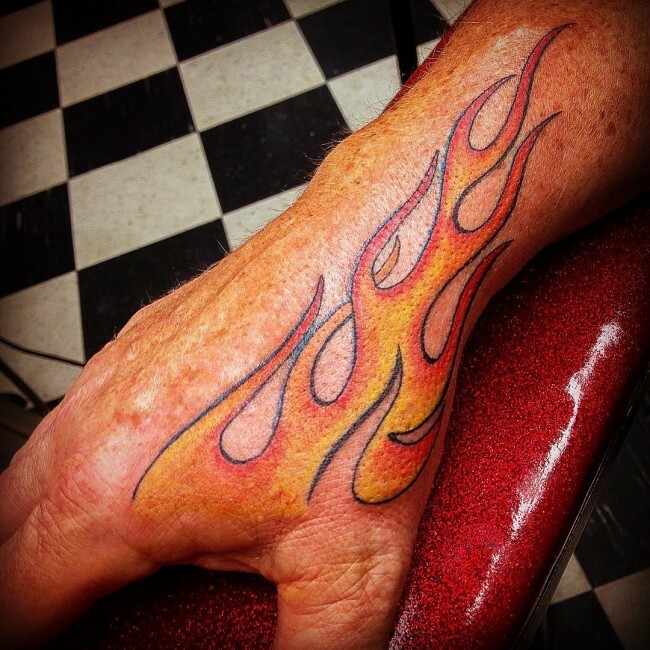 These types of flames also form a great tattoo, and they can be drawn in varying designs. Tribal tattoos are quite popular and although they are a genre of tattoos they can be found in numerous tattoo types. The tribal flame is black in color and although it portrays a flame it still has all the characteristics of a tribal tattoo. All the other types of flame tattoos can fall in this category provided they are drawn with grey ink. These types of tattoos are drawn entirely using grey ink, and this is what distinguishes them from other types of flames. This tattoo has a wolf as the centerpiece surrounded by flames. The wolf flame tattoos can take any color that you wish, but it will look more realistic if you give it a color that a wolf would take in nature. Although you can draw it anywhere you want, the chest is the best placement idea for the tattoo. This tattoo looks exactly as the name suggests. The symbol is usually made up of two flaming cards, but you can always use have more or even have a single card drawn. The only thing that you should be keen on with this tattoo is the card you choose to draw. Different cards have different symbolic meaning, for example, a joker will mean something totally different from a 3 of spades.